The links provided here will hopefully be of value to Wobblers who are regular users of the email support groups and first visitors to the website. Many links will be familiar to the former but may not be known by the new visitor. Many of those who have experienced the ill effects of gentamicin have expressed the sense of relief they felt when finding that they were not alone with their symptoms. It is hoped the links here will help and also provide an opportunity to find other resources available online. Those who have 'Wobblers' as family members and friends, or the clinicians who may also visit the site, are urged to use the links to inform themselves of the challenges a Wobbler experiences. Web pages do change or are removed. If you find a link that no longer works please let Richard (NZ) know through the support groups. If the link is of particular and immediate interest try copying the description into Google, you may well find more recent information. Seventeen percent of Americans have some degree of irreversible hearing loss. Harvard Stem Cell Institute scientists want to bring it back. Repairing a damaged inner ear from skin cells. This targeted website has a wealth of useful information for Wobblers. Bilateral vestibulopathy occurs when the balance portions of both inner ears are damaged. The symptoms typically include imbalance and visual disturbance.. The VEDA website helps those with vestibular disorders. A multimedia presentation of the vestibular system. The viewer can choose between a step by step slide show or a narrated video. Aminoglycosides. Since their introduction in 1944, multiple aminoglycoside preparations have become available. The Impact of Ototoxicity on the Vestibular System. Gentamicin. Frequently asked questions; (FAQ). The CLONS project aims to develop suitable technological solutions to improve the life quality of life of people affected by vestibular disorders. The Distinction between impairment and disability. Guide to the Evaluation of Permanent Impairment. Disability Evaluation Under Social Security - Disturbance of labyrinthine-vestibular function ( from Blue Book- August 2010). Gentamicin toxicity is the most common single known cause of bilateral vestibulopathy. The video illustrating oscillopsia is courtesy of the The Chicago Dizziness and Hearing website. Warning Insert. Product - Gentamicin. Core exercises: Wobblers will benefit by strengthening core muscles. A transcript of a lecture by Kenneth Erickson, M.D., at a VEDA conference held in Portland, Oregon. This page provides more detail about prognosis and recovery of vestibular function from gentamicin ototoxicity. 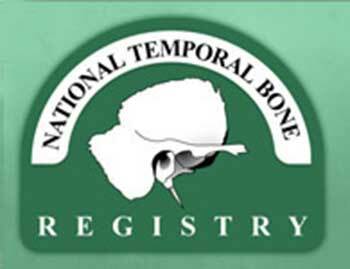 National Temporal Bone, Hearing and Balance Pathology Resource Registry. 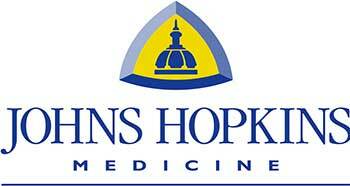 An organization that promotes research on hearing and balance disorders. The AAS aims are to increase knowledge and understanding of hearing and balance disorders of the ear. Tips to hep a Wobbler cope with every day challenges. The purpose of this page is to list drugs well known to be toxic to the ear. It is not all-inclusive. 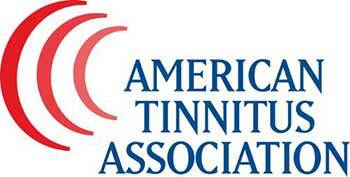 Tinnitus Association (USA) exists to cure tinnitus through the development of resources that advance tinnitus research. Exercises to assist a person to cope with the feelings of dizziness and help the brain re-achieve balance as quickly as possible. An explanation of the different sensory inputs the brain receives that relate to balance. Any drug with the potential to cause toxic reactions to structures of the inner ear is considered ototoxic. An online compendium of information on the ototoxic potential of clinically useful drugs. Vancomycin is reported as potentiating the ototoxicity of Gentamicin when the two are combined in treatment. How loss of vestibular function in both labyrinths leads to characteristic dysfunction in vision and balance. Kidney damage associated with Gentamicin use. In children with more than 10 courses of intravenous aminoglyosides (of which tobramycin is the main one in cystic fibrosis), up to 44% had sensorineural hearing loss. Research Overview: A Multichannel Vestibular Prosthesis.